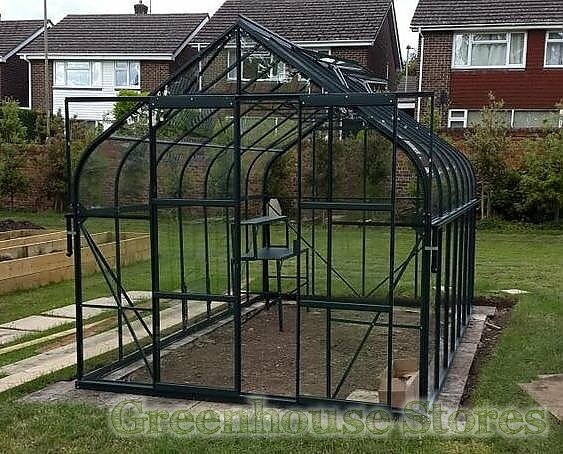 2570mm (8ft 5") Wide Greenhouse - Large Growing Space. 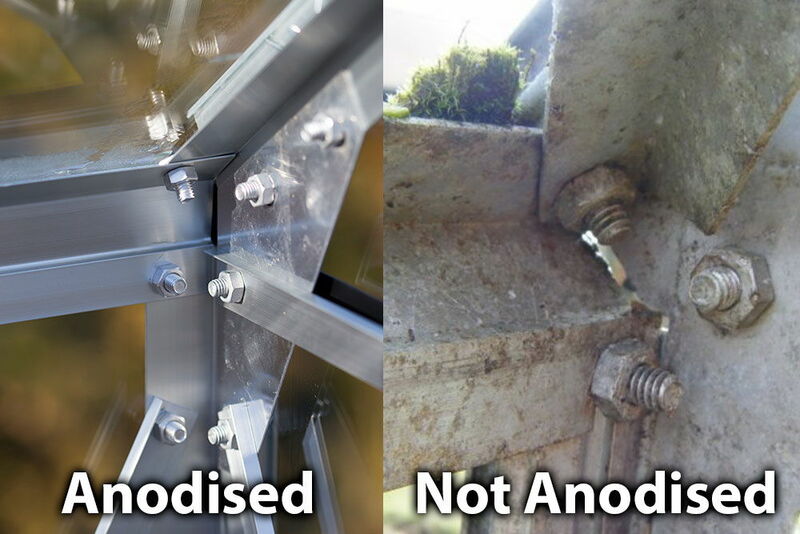 2 Roof Vents - For Good Ventilation. Double Doors - Easy access for wheelbarrows and wheelchairs. 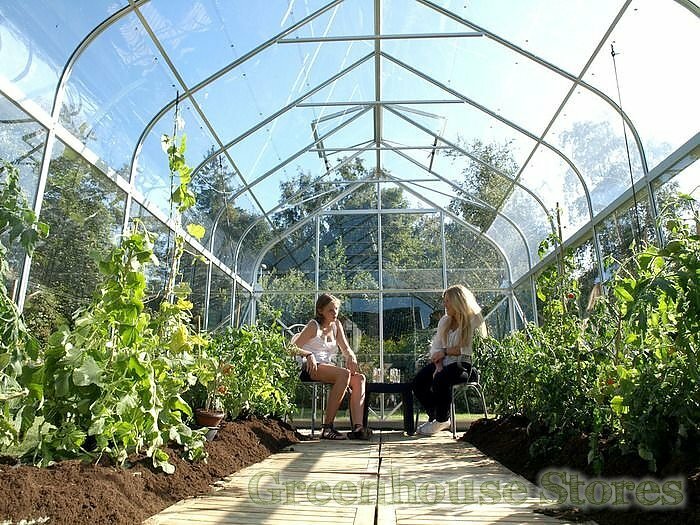 Integrated Gutters - The only curved eave greenhouse with gutters ! 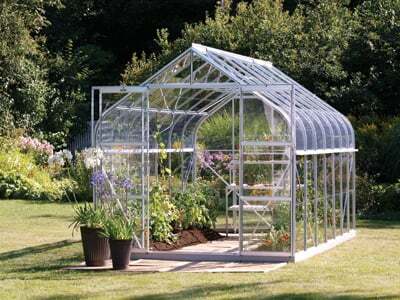 The spacious 8ft x 10ft Vitavia Saturn will provide plenty of room for growing all sorts of garden plants throughout the year. 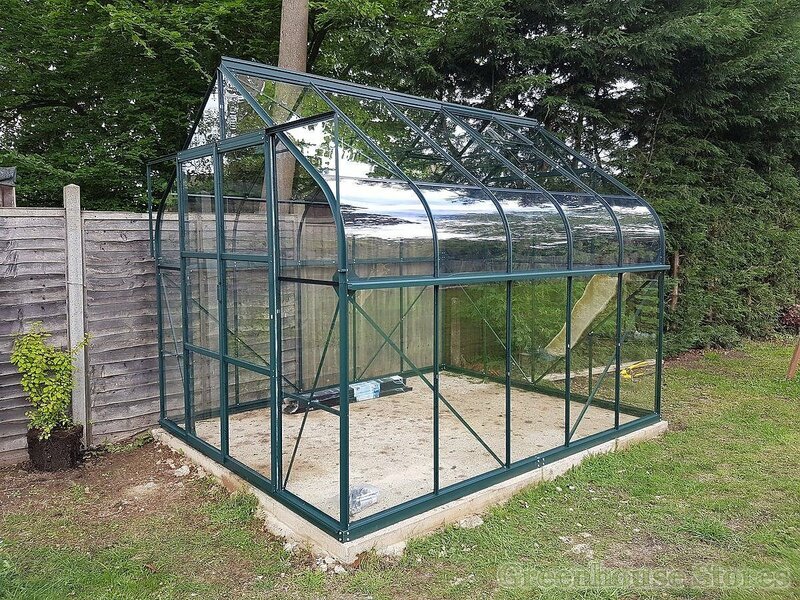 The 8ft wide Saturn has nice wide double doors and 2 roof vents to keep the greenhouse cool in hotter months of the gardening year. 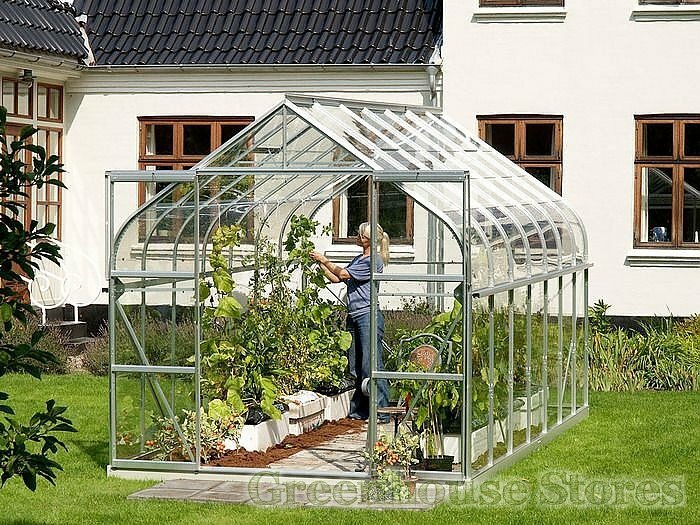 The feature that really sets this model apart from other greenhouses is the nice curved sections at the eaves. These curves are made from tough acrylic that is both shatterproof and also UV protected to guard it from discolouring.